Our services are founded on the knowledge and expertise of our human resource; skilled, disciplined, adept and using technology to understand, gathering, manipulate and present the task when complete. 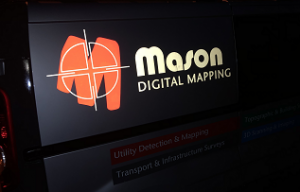 From land to below ground, intricacies of a structure and printing of mapping for a development, Mason has a service to suit. Mason is organised around your project. Each project’s service needs are called upon from our pool of resource, this forms the basis of our approach and the manner in which we provide our services throughout the UK. Information on each of our services may be found by accessing our services pages and detailed information may be requested by completing the request form from the navigation bar. Our business offers a wide range of Survey services which include Topographic, Monitoring, Volumetric, leveling, GPS Survey, Ground Control and laser scanning. Measured Building Surveys are a major prerequisite to effective analysis of properties, asset redevelopment and management of useable space. Services provided to Retailers, Government, Banking, Hospitality and Local Authorities in their drive to meet regulation, licensing, growth and consumer appeal. The rapid capture of 3D information. Huge digital datasets generated that can be interrogated to create plans, 3d models, reverse engineering, as-built data sets and many more uses. 360 degree High definition digital imagery, generating a digital visual database for asset management and a living, editable schedule of conditions and high quality backdrops for visualisations. Location, identification, marking and mapping of buried assets and services, for new build, re-development and incident prevention. The provision of services for projects involving the UK’s transportation network and infrastructure supporting our communities. Production and Reproduction of data and information in a hardcopy and digital format for customers using many wide format production systems.